Things change so fast in our fair City of Angels. Only yesterday Ekamai Soi 10 was a simple destination for weeknight Hoegaardens at Happy Monday. 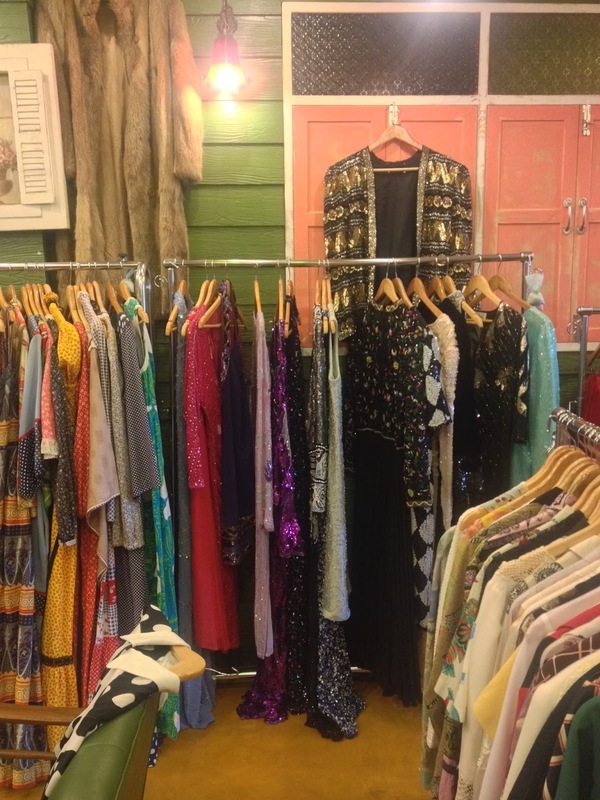 Now it's teeming with awesome vintage shops. One of which is Penny On Her Vintage. 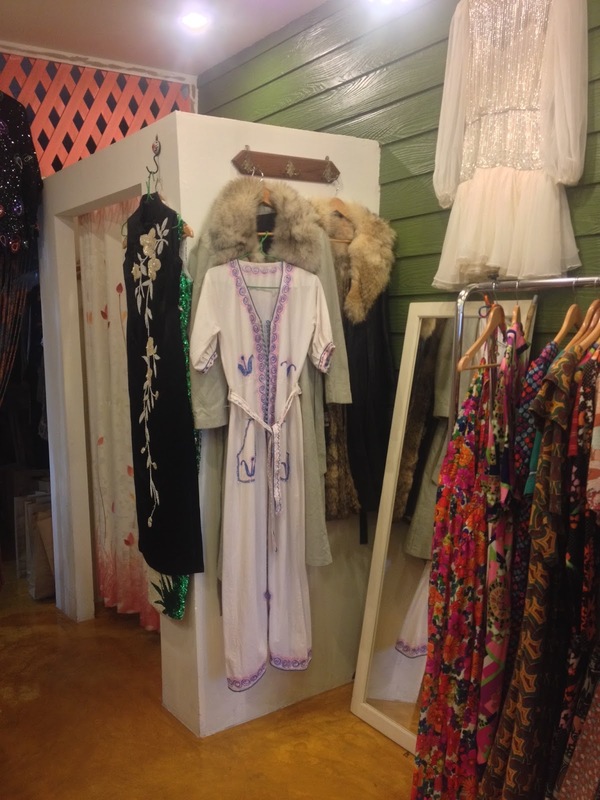 Named after the owner's adorable daughter Pen, this shop is packed with awesome sixties shifts, sequin dresses, fur coats and classic grandma-meets-hipster silky shirts. 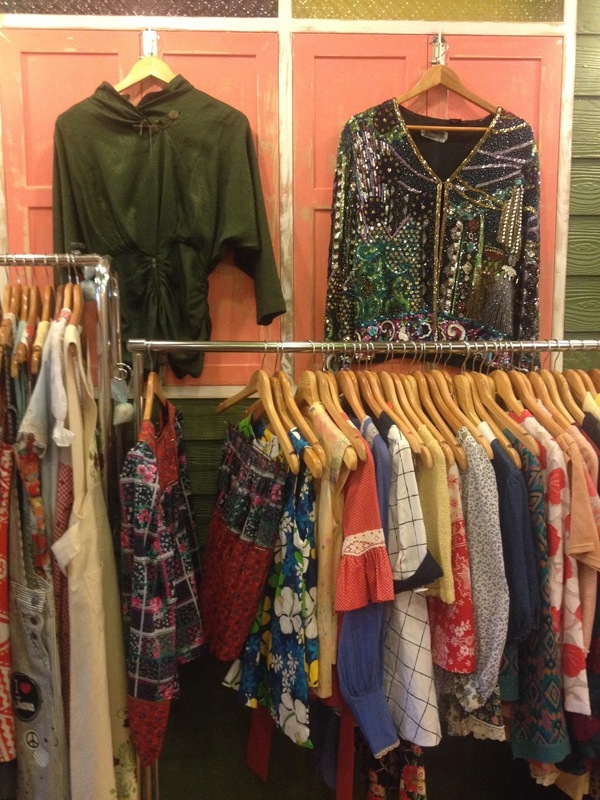 Prices are reasonable too with 90's style printed shirts 690 - 1000 THB. 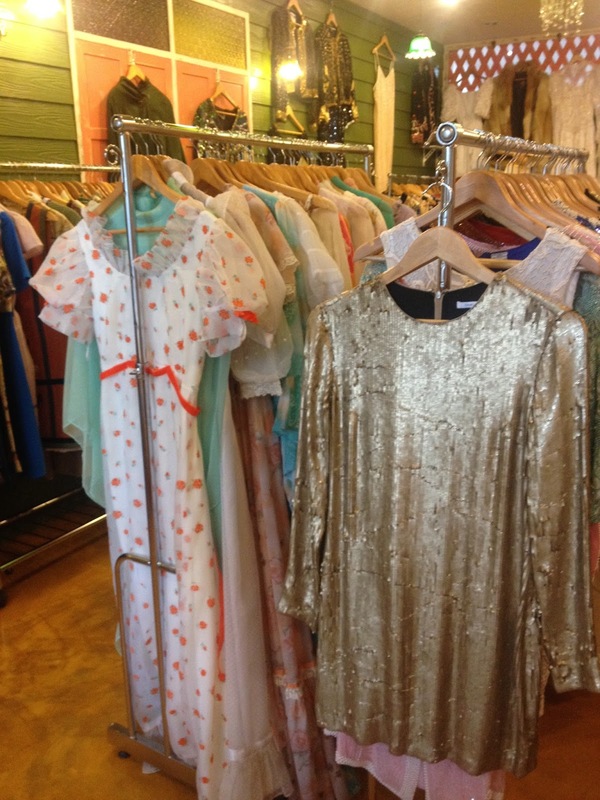 I spied a gorgeous gold sequin coated Diane Von Furstenberg minidress for under 6,000 THB. (Still thinking about it now... sigh.) New stuff comes in all the time, mainly from USA, Korea and Japan. Hawaiian Shirts: So Out, Totes In.